Love eating? Love drinking? Then you're going to love exploring the heart of Livermore and its yummy attractions! Munch away at the various eateries Livermore has to offer -- delicious pastries, Mexican, Afghan, Thai, and many others. Six locations are featured on every tour, so you're bound to find something that really hits the spot!! 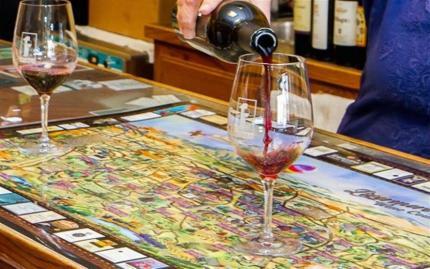 You'll also sip on some local wines and teas throughout the tour. How about some historic architecture to follow-up your food coma? During the rest of the day, you and the rest of the group will see some beautiful Livermore architecture and discover its extensive history. Prepare to stroll downtown with some new foodie friends, a full stomach, and a fantastic understanding of the culinary world of Livermore. Note: Exact meeting location provided upon confirmation of booking. All food and drink tasting fees are included. All food and wine tasting fees are included. Please let us know if you (or anyone in your group) have a dietary restrictions or food allergies in the "Special Requests" section. Also, please let us know if you will be attending with an infant.